After University of Iowa student 20-year-old Molly Tibbetts went missing while on a run in her hometown of Brooklyn, IA, we believe it is vitally important that runners know how to stay safe while alone. Here are some tips to help avoid a dangerous situation while running. When it comes to running alone, particularly in the darker hours of the day, it is very important to have the right gear. Wear reflective clothing so you are illuminated when car lights or street lights shine on you. 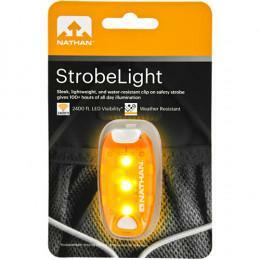 If you are in a more rural area, wear lights like the one from Nathan Sports below. Check out your local running store for similar items. Many runners enjoy listening to their favorite tunes when they go out for a run, but clouding your sense of hearing with music is a huge red flag when running alone. Whether it's earbuds or your phone speaker, keep the volume low enough that you can hear your feet hitting the ground, cars passing by, and your own voice at a normal volume. Another important distraction to avoid is emotion that can cloud your mind. It can be a huge relief to go for a run when you are angry or upset, but you are more likely to focus on those feelings and be distracted from your surroundings, leaving you vulnerable. You wouldn't go out for a run without your favorite pair of trainers, would you? It is just as important to be mentally prepared as it is to be physically. While it's certainly more fun to go out for a run in a new place or to hop on a quiet trail, it becomes much easier for potential dangers to arise when you are on an unknown route or in a secluded area. Pick a route that you are familiar with and that has other pedestrians or traffic. Avoid busy highways or areas where a driver may not be able to see you, but stay away from trails where you may not see another person the entire time. Choose roads that have street lights and a safe sidewalk or path to run on. If you live in a rural area, either drive into town to run (like from your school) or see if a friend can bike alongside you while you run. If you are going on a longer run and know you may need to stop for a bathroom break, plan a route where you can stop somewhere safe. Avoid places like empty campgrounds or bathrooms along secluded trails. Plan to stop at places like a bathroom at a busy public park, community buildings, or gas stations with a "Safe Place" sign. Anywhere with a Safe Place sign has signed up to be a safe place for anyone under 18 to escape danger and be protected. To find out more about Safe Places, check out their website. If you have a family member at home, give them a heads up on where you plan to run and how long you think you'll be gone. If you are home alone, shoot them or a friend a text with the same info and let them know when you're home. If you are running alone from your school, tell a coach, teacher, teammate, or friend where you're going. In both situations, if you should not return in a fair amount of time they will know where to look for you. Running with a phone or water bottle in your hand makes it harder for you to fight off a potential assailant. Having a waist pack or arm band for your phone allows you to take it with you, but keeps it in a safe and locked position. Running-specific waterbottles or hydration belts are much safer than carrying a regular water bottle. 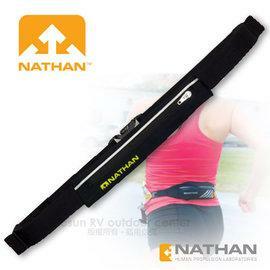 Running handhelds will have straps that go around your hand but allow you to have full use of it. The one exception to this rule is keeping a car key safely stored in between your middle and ring fingers, giving you a safe weapon to defend yourself and surprise a potential attacker. Waist packs are great for storing things like mace, which can stop an attacker in their tracks and give you the ability to escape. You can also hook mace to your shoe laces or shorts with a carabiner for easy access. Another precaution that can be especially helpful is taking a self defense class in which you can learn skills and tricks for escaping the grasp of an attacker. Always err on the side of caution. If you ever feel unsettled or unsafe, turn around in your tracks and find a safe place to wait or contact a loved one.